An update at last!.. S&K Other Modes | Sonic 4 Episode 2: Review | Rumours of my death have been greatly exaggerated | Egg in the Sky | Sonic Generations Soundtrack Edits | Ricky Earl Returns to Zone: 0! Two things about the odd title of this blog: a) No one has actually reported of my death, it just sounded funny in my head and b) despite the fact that its publish date falls on April Fools Day, it doesn't pertain to any sort of obvious April Fools joke, as has been customary on Sonic sites for as long as I can remember. No, I just wanted to highlight that I haven't done much on Zone: 0 since the last update to be honest, but to assure you that I will, and that the coming months will see it finally reach its completion. I've just been involved in a couple of other unrelated projects, day-to-day work, social interactions (yeah I know, hard to believe isn't it?) and sadly any other time I've had in the last couple of weeks has been decimated by a sudden increase in eye-strain from all the excessive computer use. It's a recurring problem, so I have to remember to take it easy from time to time, but I'm sure I'll be fine. Oh, and I've been on Netflix a lot as well. Sorry. As far as the schedule goes, we're very close to the end. I have started on the Other Modes page of Sonic & Knuckles, which will be followed by the Misc page, and both will be released together in the coming weeks as the penultimate update. Finally, my last ever level guide, Death Egg Zone, plus Doomsday and other stuff like Downloads and the game endings and all other bits and bobs will complete the Sonic & Knuckles guide, and the Zone: 0 pentalogy of Sonic game guides, after eight years of work. Well, I say complete. There's a lot of maintenance I need to catch up on and tweaking here and there across all guides, adding in things people have suggested and accounting for ports or discoveries that have occurred since, but as far as significantly new content goes, that'll be it I'm afraid. However, as I've said before, everything will remain available for as long as it's still needed, and I do have interesting ideas for what the site might also evolve into alongside. I'm still not definite as to whether those ideas will actually become of anything, but hopefully you might find out more about them anyway around the time of completion. Start getting excited! Or mournful, whichever seems appropriate. Comments 34 Comments have been posted. It's sad to see this come to an end, but some people say it is better to stop when you are ahead. From now until the much-vaunted update I will not leave my place underneath your keyboard. I watch you type with bated breath. Thank you, that.. freaks me out ever so slightly..! How did you know that I reported your death? That looks quite interesting actually. I don't have a PC capable of running that, but I'm more interested in the potential of modifying Unleashed to improve it. 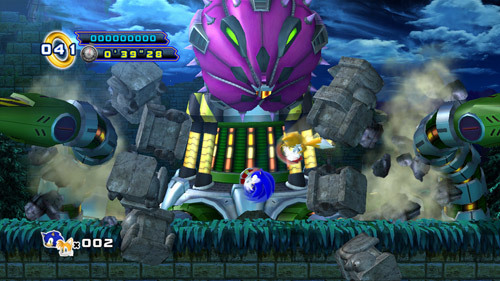 I played it again the other day for the first time since getting Sonic Generations and while I still like it, Generations definitely makes it seem inferior, both technically and in terms of level design. With this, and a bit of re-imagining, it could be brought up to scratch in both areas. Did you also see the brief video of an early attempt at porting Sonic Colours' Sweet Mountain? That's also really exciting! My only concern is what SEGA has to say about this. They've never stepped in about game hacking in the Sonic community before, but this is messing around with their recent games that, I suppose, they could still make money from. It might be where they finally draw the line. That's one option, but a better one would be to actually work with these extremely talented people, much like they did with Christian Whitehead and actually take these creations to some sort of market, and share the profits. I don't think people hack/recreate and distribute Sonic games because they want them for free, they do it because they want to play more and more Sonic. I think most users wouldn't be opposed to handing over some money in appreciation for that hard work. By the way, I'm closing my ears on the community again until Sonic 4 ep 2's release because I want to try and avoid any more information about it whatsoever. Especially anything about the one level in it that I know nothing about. Sorry! Yeah, I've played Sonic 2 HD. Very professional and an impressive show of collaboration in a situation where collaboration is notoriously difficult. However, I can't help but feel that ultimately, it is just Sonic 2, and I'd be a lot more excited if they could use all of that skill on an original Sonic game. I saw the video games live show a few years ago in London. Sadly, it was their one visit in which they didn't include the Sonic medley. Hopefully they'll be back in the next couple of years so I can go again and finally see it live. I am truly Saddened. But at least we can turn a new page. 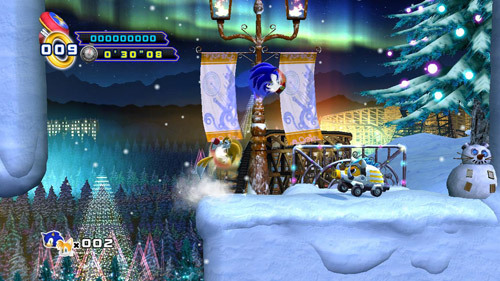 oh and... Sonic 4 ep 2 looks epic. btw - when will other modes be out? I'll be very sad if that book doesn't get released in English. Sorry for double posting, but did you know that Sonic and all stars racing transformed is coming out? Yeah, I did happen to see the racing game announcement on the page of the last link you posted. Awkward title, but cool concept. 15 May (I think), well, I got it from Eurogamer, so does that count? 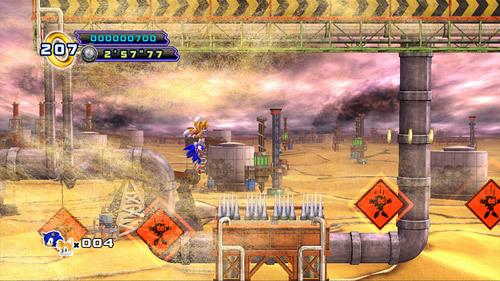 Did you know that a beta of Sonic 4 ep 2 leaked onto steam for those who per-ordered the game. the whole game was in it, and the link got taken down, but the unthinkable happened. Ken Balough (or however you spell his name) actually commented on it, and said that they had a legal copy because they had bought it, so none of the spoilers have been taken down. I've seen about 3 acts, but gone much easier that I did with generations, eventually watching all the classic and dreamcast eras (except shadow), and also watching a couple of acts from the modern era. Multi-posts are fine :) As long as they're all worthwhile of course. Thanks for the release date confirmation. Not long now before I can go back on Twitter! I suppose the fact that it was leaked again doesn't surprise me really. I'll see what I can do about the bold and italics. I think you can use <i>html</i> <b>tags</b> though. I don't quite understand post 23. Was it about the <i> thing? You need some kind of award for this site. He did get 2 awards on Sonic Wrecks. Best website design, and something else. And he has also had other awards over the years. Can't wait until it's finished! Bring on the Death Egg! Yeah, I saw/heard, great stuff! Did you see what I wrote most recently? What do you think of my "idea"
Hi! It's me again, Ace. I know it may be a little too late to say this, but I just collected All the Super Emeralds for Sonic, Tails, and Knuckles in Sonic 3 and Knuckles for Sonic Classic Collection (DS)! So now I can play as Hyper Sonic, Super Tails, and Hyper Knuckles! So if you need any information about them, anything at all, don't be afraid to ask. Oh, and for the 3DS friend codes, we need the nicknames of our main Mii. Mine's Rye-Rye. So how to you like my new nickname on your site? I really don't even play my 3DS much anymore, so don't worry, you really won't see me online there very often - sorry! Hope you've been enjoying the recently released Sonic Generations OST as much as I have. It's a nicely made one, much clearer than the rips that have been available since the game's release, and many of them come to nice, exclusive conclusions rather than fading out, which I often find disappointing. Plus, it's brilliant to finally get the tracks from the 3DS version! But that said, there are a few things that I thought could be improved upon. Perhaps because I've come to music in general oddly quite late in life, I'm usually more of a fan of having a big shuffled list of various things together rather than listening to albums in sequence. I have an ever growing Sonic iTunes list which I've been adding to for a decade now (in fact the initial building of it was kind of a personal pre-Zone: 0 Sonic project of mine - my own emulator recordings from it are the same ones I add to the downloads of this site's game guides), and all OST tracks get thrown in and often renamed according to certain consistent patterns. Anyway, sometimes I'll try and edit some of the tracks to suit my preferences, such as looping them or cutting them, sometimes even adding two or more tracks together or separating parts of others. There were some things I was quite surprised by on the OST, so having not actually done this for a while now, I whipped out Audacity and tried to see what I could come up with. Thought you might be interested too, if you have a similar approach to your Sonic music. 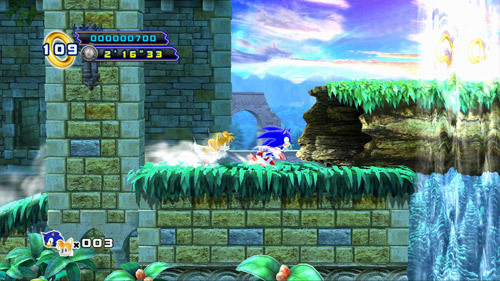 I was rather hoping that they would combine the "normal" and "fast" versions of Green Hill Act 2 and Sky Sanctuary Act 2 into a single track for each, with the faster one directly following the normal. Perhaps because whenever I hear the normal ones, I want to cut to the faster ones at some point, because they're better. They didn't do this on the OST, so here you go! While listening on my earphones out and about, I couldn't believe how many loops Speed Highway Act 2 went on and on for. It's a decent enough piece of music, but it didn't seem to ever end. It appears to loop four times, but it's actually twice, it's just one of those tracks for which a single loop consists of the same tune looped twice but the second one differs very slightly. I brought the conclusion forward so that it only does one full loop of the song, so nothing is missed, but it ends before you get sick of it! For the Act 1 music, to suddenly start embedding the speed-up versions of the tunes into Crisis City and Rooftop Run was quite odd, though I can live with it. Even odder though, I thought, was the unexpected gap of near silence after the speed-up section of Crisis City, before returning to the main track. I found this quite distracting, so I've removed it. If there's any interest I might one day post up some more tracks I've edited over the years from past Sonic games too. 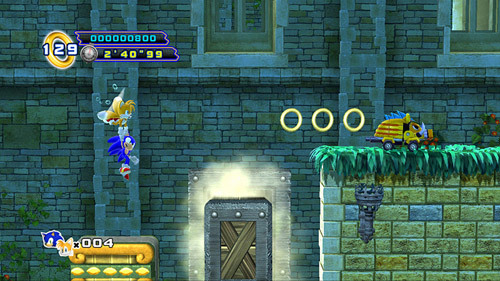 You can import the rest of the Sonic Generations soundtrack from here, here, or here. I think it's on iTunes in the US too now, but still waiting for it here in Blighty, it would seem. edit: "Up and down and all around" stuck in my head now!!! I totally agree with you bro! But I didn't think SOPA would take away sites like this. I sure hope they 'skip' over it. Hey guy! you rock! please keep working on your site because you are not alone with this love for Sonic! Thnxs!!! I don't see much of a point to some of your edits. 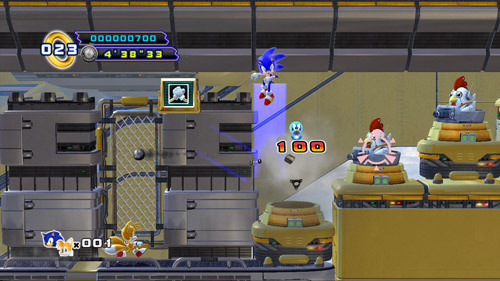 Green Hill and Sky Sanctuary were okay, I guess, but Speed Highway isn't too different from the one in game (except for on the second loop, the end is shortened in the in game version). And adding in the speed up music to Crisis City seems rather pointless to me. 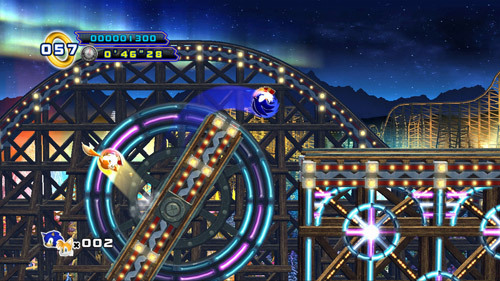 One thing that did bug me about the soundtrack, though, is that Modern Seaside Hill almost carelessly slaps on Ocean Palace to the end of it and doesn't sound very well as a whole track. Take them or leave them, I didn't do them as a service, I did them for the sake of my own personal music collection. Just wondered if anyone else might happen to be interested. I agree with you on Crisis City, but you do realise I didn't add that speed up bit in, these are all from the OST CD release, not the game rip. All I did was remove the annoying bit of near-silence right after the speed up, which I found distracting, and I felt that the Speed Highway Act 2 track on the CD was too long. That's all. It wasn't that Speed Highway was too long, it's that the second loop of the song is too identical to the first. You could make the same argument for both versions of Green Hill and Chemical Plant as well. The original versions are just too short. At any rate, I don't need to rely on you for edited songs anyway, I have my own editing software. The OST CD is soo damn expensive! BAH! First of all, Happy New Year everyone, I hope you had a good break with family and/or friends, and are ready for the return of Zone: 0's resident artist Ricky Earl! It's been about a year since he's been available to contribute, so in case you've forgotten, he's vowed to supply a piece of artwork to accompany each level page on the site, or at least as many as possible. You can do it Ricky! Keep up the good work. We're up to Chemical Plant now, check it out! Meanwhile, I've managed to get quite far with the Sky Sanctuary guide. On the map, I've had to recreate the platforms that float up and down by hand from lots and lots of screen shots, which has set me back a bit, but I'm pretty sure I can get this one out there within this month. That's still pretty good, by my standards! Also, a quick thanks to AAUK of Sonic Wrecks for giving Zone: 0 a couple of awards in his 2011 Sonic Wrecks Awards - we won Best Specialist Website and Best Use of Images/Graphics. Yay! 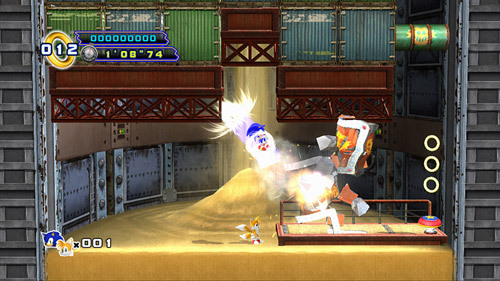 "Tails, what are you doing? Stop drowning all the time, we have go work to do!" Besides, you CAN swim (well at least in sonic 3). 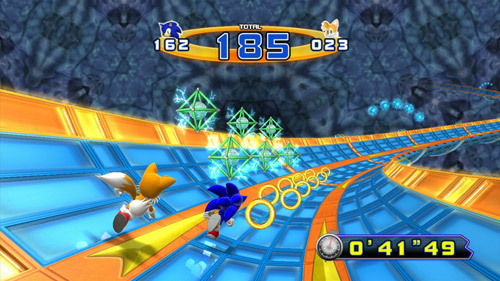 "TSSZ: Which Sonic game was the first you ever played, and which one is currently your favorite? Lebron: The very first game was the first Sonic game I ever placed. I think I was around 6 or 7 at the time! My favorite is still my favorite game of all time, which is Sonic 3 & Knuckles. There is this epic scale to the game that makes it stand out for me. The music, the levels, the story, and the gameplay make this adventure you’re having seem so grand and important. There is such a beauty and lushness to the design of the game that separates it from the others. The fact this is all accomplished with the limitations of a Sega Genesis makes it my number one and has been for many years. I can’t say even bad things about the game: it’s perfect."